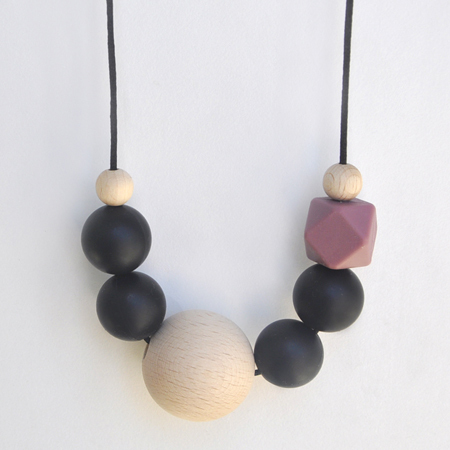 View cart “JULIA teething necklace” has been added to your cart. We are in love with LAURA breastfeeding necklace. We put the name of the first person who bought it, who trusted in our project and she brought us a lot of luck. It is elegant and has a lot of personality. 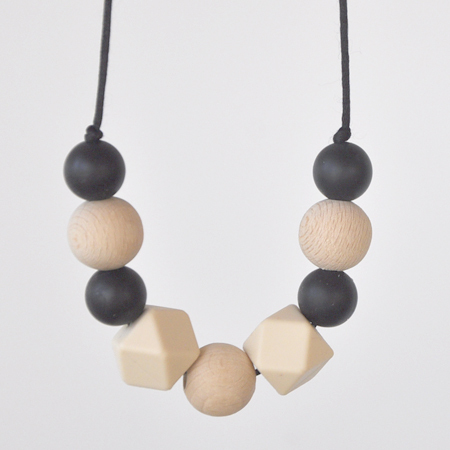 It is formed by silicone beads and a big ball of natural wood (untreated beech). The cord is black. Our pieces are unique, stylish and with a touch of personality that makes them different. They are designed for stylish moms, who want to look and feel beautiful and, at the same time, wear a useful necklace, which will distract your little baby and reinforce the mom-baby bond. The silicone beads are BPA, phthalates, cadmium, lead and PVC free. It is food silicone suitable for teething babies. It is easy to wash (simply with water and if you want a little soap and you will see that it dries very quickly). The cord is made of very soft satin and the zipper is easy to open to avoid those pulls that our babies like so much! Length: 80 cm approx. Whenever you want you can reduce the length to your liking. 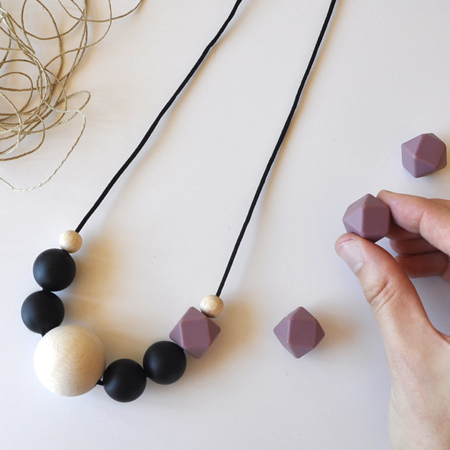 It is very important that you keep in mind that breastfeeding necklaces are not a toy for the baby. It is a jewel for you, so that it is you who wear it. For safety, never leave your baby alone with the necklace.